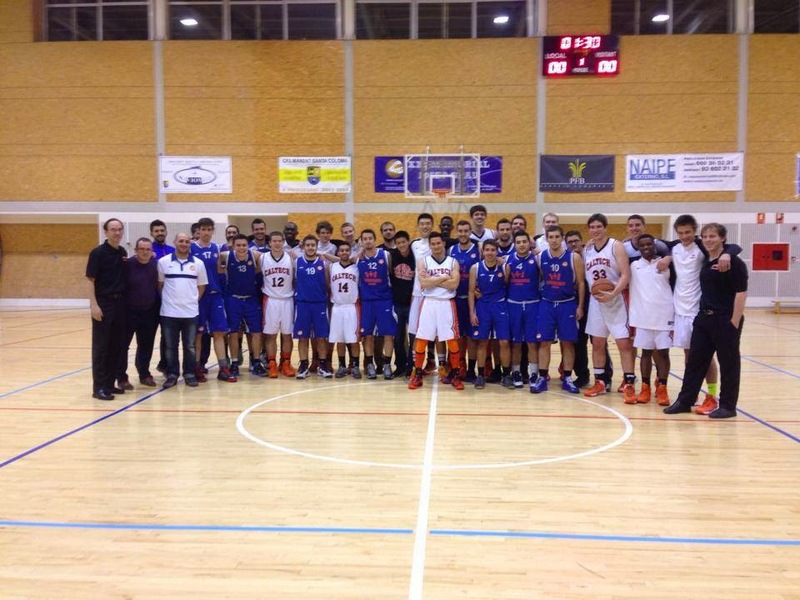 Badalona, Spain -- The Caltech men's basketball team, playing in another country for the first time in history, entered the gymnasium in Badalona to an energized group of fans and a welcoming opponent. Basquet Neus, a club that plays in the Senior A League, was on a four-game winning streak and looking forward to the international exhibition game. Though both teams were ice cold in the first quarter, the action heated up in the second frame and carried into the next 20 minutes. Despite hitting 12 3's in its last contest, Basquet Neus only hit one in the first half -- and just four in the game -- but still managed to grab a 28-25 lead at the half. Coming out of halftime the home squad went on a 21-9 run off of 7 Caltech turnovers to take a 15-point lead with 2 minutes to go in the 3rd quarter. From there Caltech rallied to get back into the game thanks to Kc Emezie, who had a game-high 19 points 11 rebounds, and Andrew Hogue, who tallied 9 points, a game-high 14 rebounds, and 5 assists. 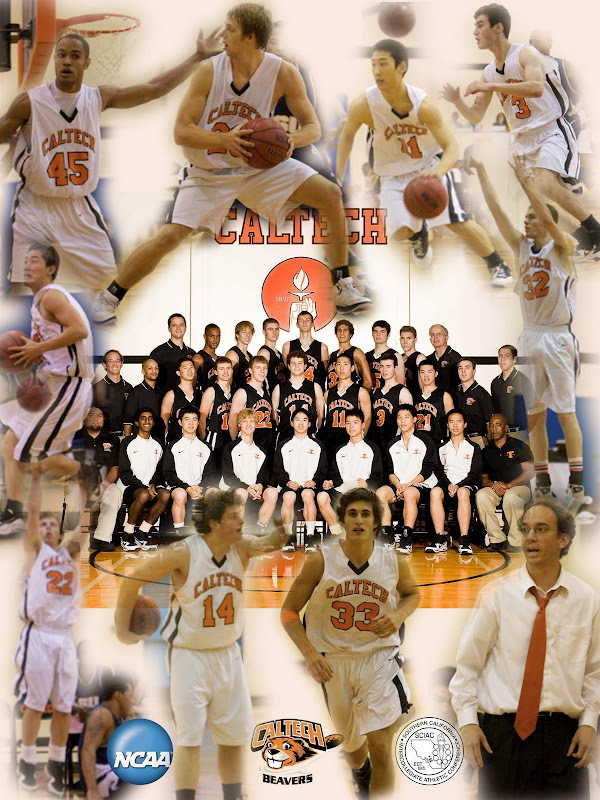 Caltech was able to cut the deficit to two points twice, once at 53-51 and the other at 59-57. After cutting it to 2 for the second time, Basquet went on a 8-1 run to seemingly take control of the game with a little over a minute to play. Ricky Galliani (9 points, 3 rebounds) scored on the next possession and Bryan Joel (10 points, 5 rebounds, 5 assists, 3 steals) got a steal and hit a 3-pointer to cut the deficit to 3 with under 30 seconds to play. Caltech was able to force a miss on Basquet's next turn but, unable to corral the miss, the home team maintained the ball. The Spanish team was able to put the game away at the free throw line and won 68-64. Caltech was 12 of 15 from the foul line, thanks in large part to Nasser Al-Rayes going a perfect 8 for 8. Basquet Neus shot 24 free throws but only made 13 and had 14 turnovers. Caltech won the rebounding battle 45-43. A very friendly post game exchange led to a jubilant celebration as both teams mingled, took photos, and engaged in ultimate sportsmanship. Basquet Neus extends its winning streak to a season long 5 games while Caltech plays again Wednesday night against Circol Catolic, another team in the same league. Stay updated with the journey on facebook.com/caltechbasketball and @CaltechHoops.